"DG-7", a brand new song from HAIL OF BULLETS, the Dutch death metal band featuring GOREFEST drummer Ed Warby, THANATOS guitarists Stephan Gebédi and Paul Baayens, vocalist Martin Van Drunen (HAIL OF BULLETS, PESTILENCE, ASPHYX) and former HOUWITSER bass player Theo van Eekelen, can be streamed using the SoundCloud widget below (courtesy of Stereogum). The track comes off HAIL OF BULLETS' third album, "III: The Rommel Chronicles", which will be released on October 29 (one day earlier internationally) via Metal Blade Records. 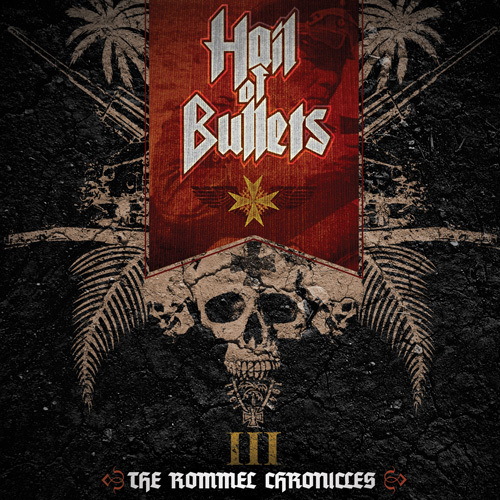 "III The Rommel Chronicles" began to take shape in the second half of 2012 when HAIL OF BULLETS started writing songs for this third album, which sees the band approaching things a bit differently lyric-wise. Instead of describing a certain campaign or theatre of war, this album focuses on the military life, rise and fall of German field marshal Erwin Rommel. Despite fighting on the wrong side, Rommel was undeniably a great strategist who was both feared and admired by his enemies. Musically, "III The Rommel Chronicles" recalls a bit of their debut album. The songs are faster, more raw, more aggressive and direct than on "On Divine Winds" which had a more epic, heroic feel. Once again, production duties were handled by Ed Warby and the album was mixed and mastered by Dan Swanö. A new lyrical approach also necessitated a different style of artwork, which was provided by Dutch artist Erik Wijnands. Swanö stated about the new HAIL OF BULLETS longplayer: "HAIL OF BULLETS return for their third album, armed to the teeth with a thunderous death metal onslaught that combines the raw ferocity of the first album with the more expanded arrangements of the second. A death metal masterpiece!" 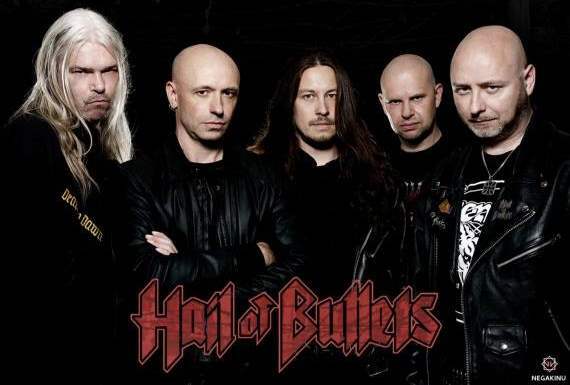 As previously reported, a picture-disc version of HAIL OF BULLETS' debut album, "Of Frost And War", was released on February 4 via Metal Blade. The picture disc is strictly limited to 500 copies.